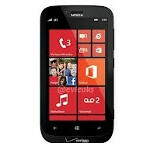 The Nokia Lumia 822 is an exclusive to Verizon and while very similar to the mid-range Nokia Lumia 820, it does have a slightly larger battery and a better front-facing camera. Even though Black Friday doesn't start until this upcoming Friday, we've already seen a huge price cut from Big Box retailer Best Buy who is offering the device in black for $49.99 with a signed two-year contract. That is a whopping $50 off the price that Big Red is charging for the handset. So which device will be next to get taken apart? Wow, in the first pic it looks like an armored tank!